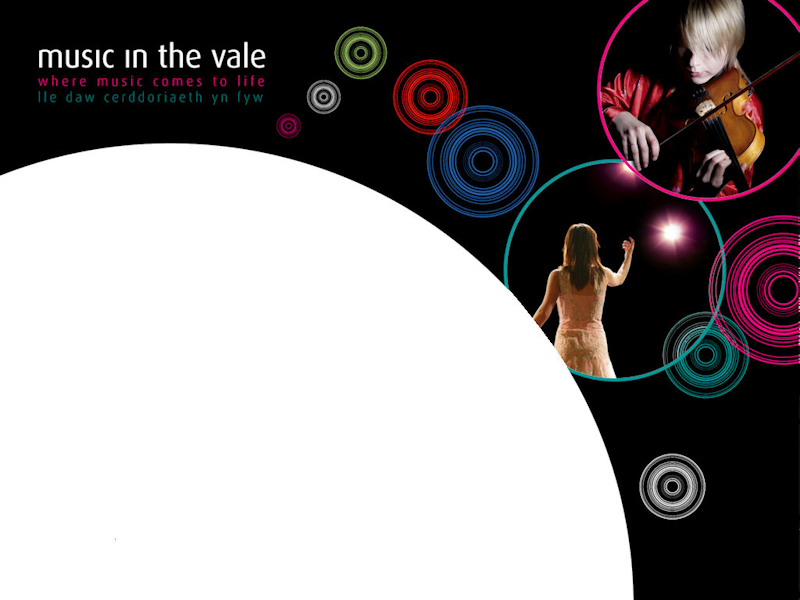 Music in the Vale has been very fortunate to have had the support from the Adjudicators listed below in 2008. Born in Somerset Tim joined the lecturing staff of the Cardiff University School of Music in 1978 having graduated in music at Cardiff University before continuing postgraduate studies (FTCL, M.Mus. and Ph.D.) in composition with Alun Hoddinott. As an instrumentalist he both played (violin) and sang at county level (even briefly playing clarinet in a local wind band); he also held the post of organist and choirmaster at several parish churches for a number of years. As a composer he has had works performed and broadcast around Britain and Europe as well as in America. He has composed in various genres including two piano sonatas which were premièred by Martin Jones. In 2000 he was commissioned to write music for a 2-hour ‘Son et Lumière’ celebrating the millennium in Crewkerne, Somerset; most of the music was produced using the Music School’s electro-acoustic studios which he directs. He has conducted the Cardiff University Choral Society and Symphony Orchestra since 1987 performing a wide range of repertoire at the University’s annual St David’s Hall concert including established works (such as Orff’s Carmina Burana, Verdi’s Requiem and Elgar’s Dream of Gerontius) as well as more ambitious works (such as Mahler’s Eighth Symphony, Britten’s War Requiem, and Janacek’s Glagolitic Mass). In March this year they performed Brahms’s Requiem. He took over as conductor of the Cardiff Bach Choir in September 2003 and at their annual Llandaff Cathedral concerts has conducted among other works Bach’s St Matthew Passion, the Magnificat, B minor Mass and in May this year the St John Passion. Was born in Bedford and grew up in Ampthill and learned the clarinet with John Myatt while at boarding school in Hitchin. He went on to study at the Royal Academy of Music under John Davies. On leaving he became principal clarinet in the BBC Northern Orchestra and later became co-principal clarinet in the London Symphony Orchestra for a year. After several years free-lancing in London where he worked extensively with the London Philharmonic Orchestra and London Mozart Players. He became principal clarinet in the BBC National Orchestra of Wales, a position he held for 24 years. On retiring in 1998 he has taught and coached in Cardiff University, Royal Welsh College of Music and Drama, Cardiff City and Vale of Glamorgan Music Services, Whitchurch High School, Howells and St John’s College and privately at home. He is now mostly retired but still teaches at Howells and at home. Of Italian/Welsh parentage, Jeanette Massocchi was educated in Llandovery and later studied singing and piano accompaniment at the Royal Academy of Music during which time she was chosen as soloist with the National Youth Orchestra of Wales; also her interest in French song was enhanced by appearing in a masterclass given by Pierre Bernac, the specialist in this genre. Freelance work followed, performing in both skills with opera companies, choral societies, radio and television. Her work abroad has taken her to Canada, Germany, Italy and Jordan. One time répétiteur with the Opéra de Genève, she later became Senior Lecturer at the Welsh College of Music and Drama and currently is accompanist for the Welsh National Opera Male Choir, the Llangollen International Eisteddfod and the Royal National Eisteddfod of Wales. Many famous recordings of this unique soprano voice have been released and continue to be available. Ms Murphy has recorded work by Beethoven, Rachmaninoff, Tchaikovsky, Puccini and Verdi in addition to the soundtrack of the Academy Award winning film Amadeus (in which her voice was featured).